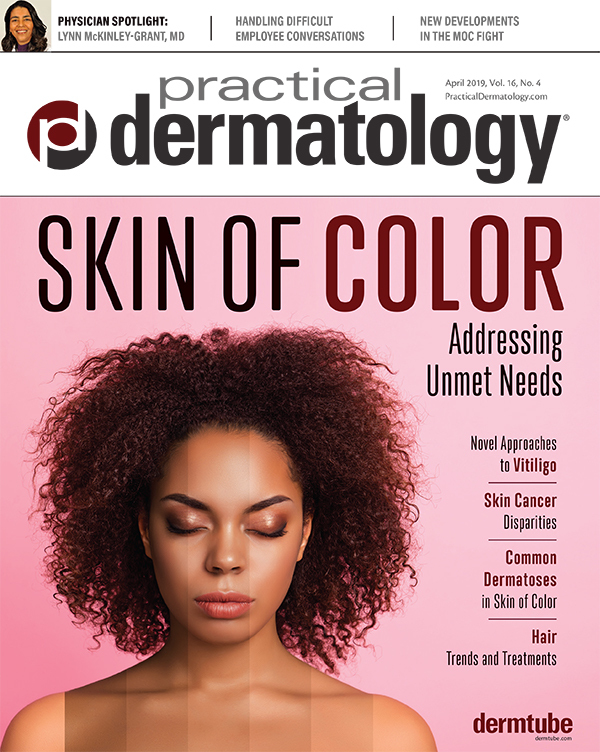 Can Skincare Be Smarter Than Dermatologists? Smart skincare products shine at CES 2018. But how good are the latest gadgets? 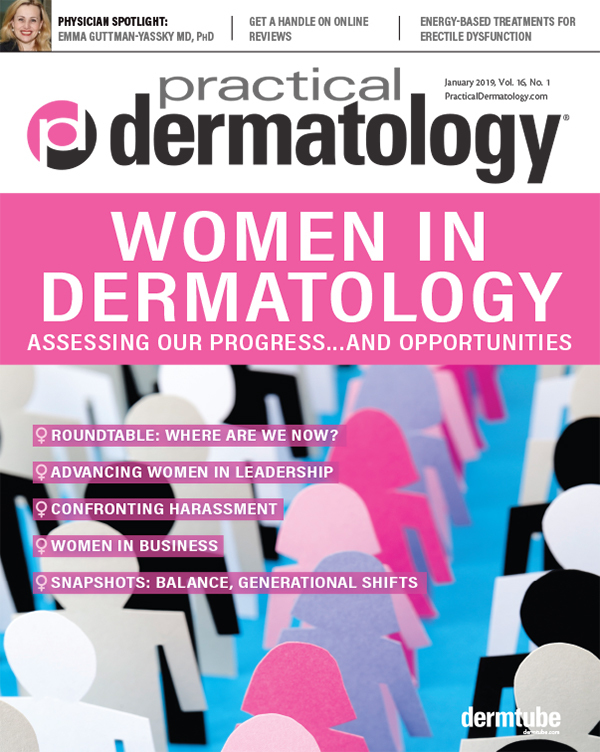 Tips for getting the most out of an onsite visit to a colleague's practice. A mix of time-sensitive and evergreen content is best to optimize engagement. Proper wound care helps avoid acute and long-term complications. Patient education and a comprehensive handout can help. Body language can have a lot to do with establishing rapport and trust and supporting long-term adherence. 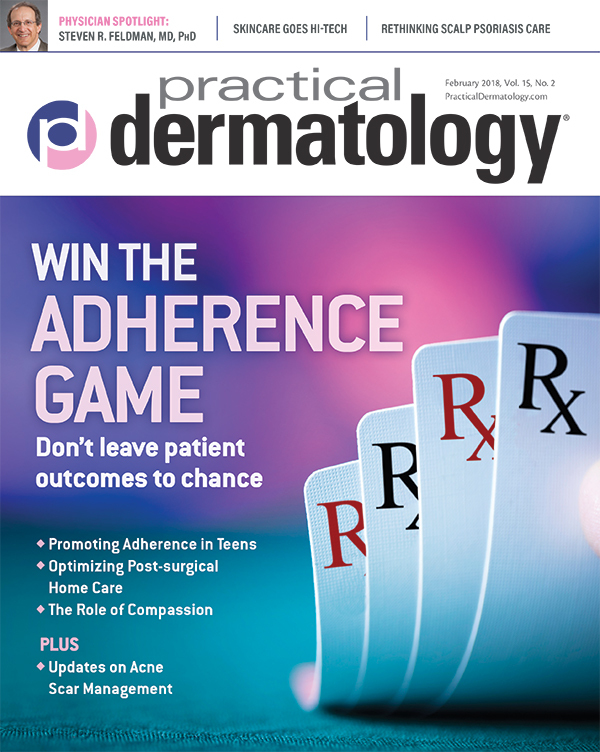 The new thinking on improving adherence in dermatology. 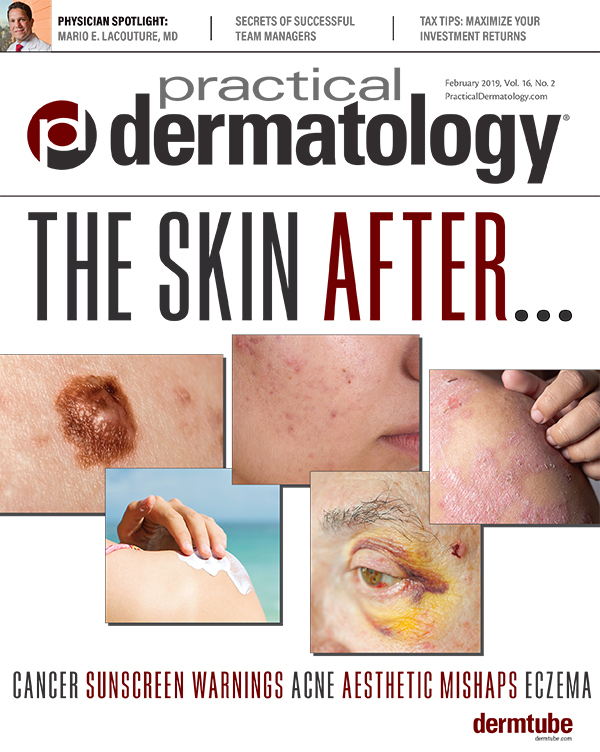 Multiple factors affect the selection of a treatment for acne scars. Best outcomes are possible with a combination of approaches. Coral Reefs Under Siege: Is Sunscreen to Blame? What the science says about the effects of sunscreens on marine life. The latest guidelines of care for SCC and BCC endorse the standard of care and show we need additional, high-quality research into non-surgical options. 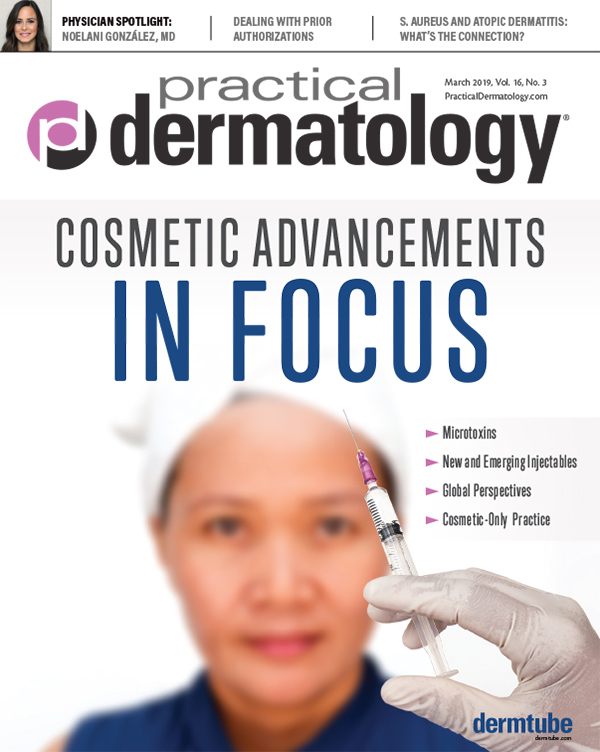 Largely due to adherence issues, topical treatments don't work for many scalp psoriasis patients. Take proper steps to protect yourself.